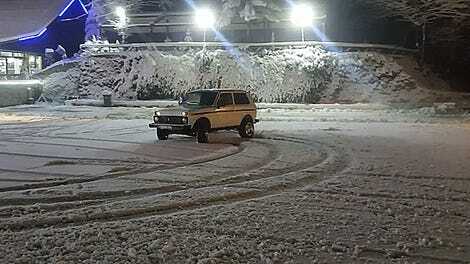 Snow is truly the great equalizer that doesn’t care what kind of car you have. 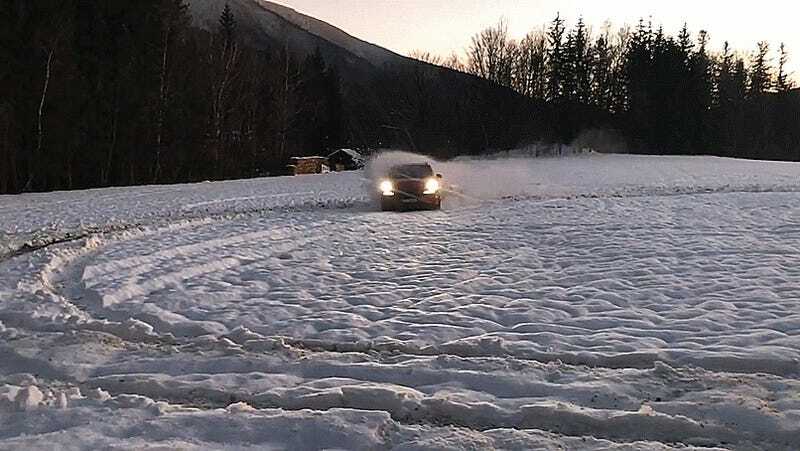 You could take David’s totaled Kia Rio out in the slippery white stuff and have a ball. Snow will make you a donut superstar anyway. To demonstrate this fact, here is a delightfully loud Porsche Cayenne GTS getting sideways. Enjoy. We have to admit that the Cayenne GTS is one of our favorite low-key hoon machines. Everyone expects it to be hauling little Parker and Madison to the Country Day School, but this 2014 model makes 420 brake horsepower from a big V8 and sounds like a beast. Yet we know from experience that even the humblest of conveyances can get sideways when it snows. Have a Prius? A lawnmower? An Amish buggy? Time to go out for a rip. Our chunk of Texas all the way down to Houston got blanketed with the fluffy white stuff yesterday. It was beautiful—and I bet some of y’all did what you needed to do in it, which would be donuts. If you’d like to show your hoonage off to the masses, our tips line is always open.